In the year since The Daily Stoic was launched, we’ve seen all sorts of readers who have filled the pages of the book with thoughts inspired by each day’s meditation. In the margins of the book, in little notebooks, as screencaptures on Facebook, on blog posts. 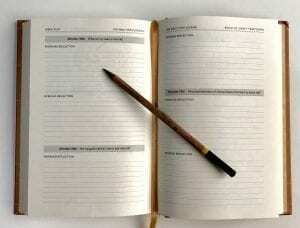 It makes sense, as journaling is one of the most essential exercises in Stoic philosophy. Epictetus, Seneca, and Marcus Aurelius all praised the benefits of journaling. In Stoicism the daily practice is the philosophy. Therefore journaling is Stoicism. It’s almost impossible to have one without the other. 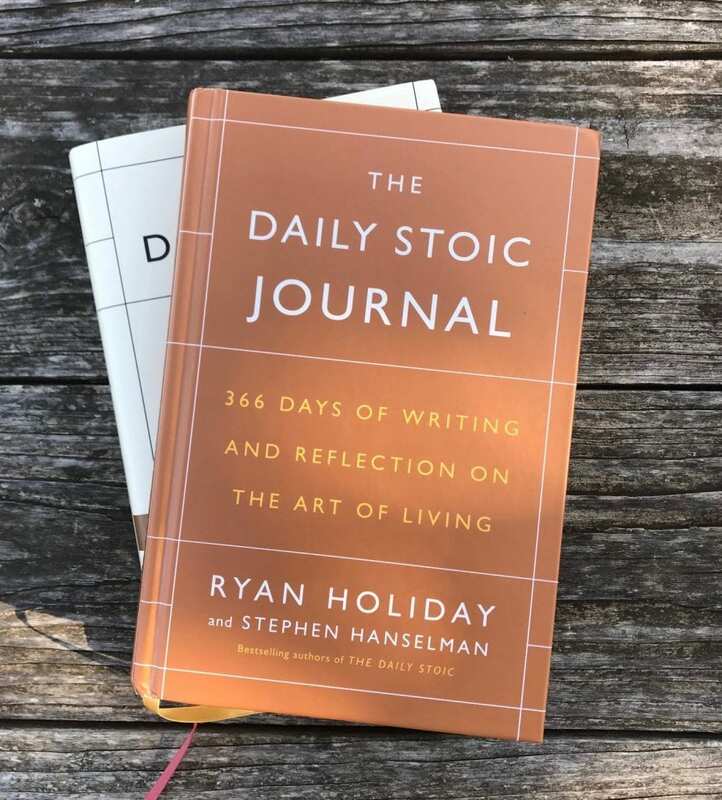 So for the last several months we have been hard at work on producing The Daily Stoic Journal: 366 Days of Writing and Reflection on the Art of Living (released date 11/14). But we’re not just going to ask you to buy it. We wanted to give you some awesome stuff to go along with the journal. (See below—but basically it’s all free for people who preorder). What’s in the Journal? Ryan and Steve teamed up again to create fifty-two new Stoic disciplines or practices, one for each week of the year, along with a special introduction about the art of journaling. Each weekly practice is presented with advice and direction, along with a few quotes from the great Stoics to help focus your attention on the practice for the week. Each day presents a question to focus on in your morning preparations or evening review. Whether you need help with bad habits like complaining, procrastination, or a hot temper, or are looking to get stronger, wiser and braver, this journal is a tool to get you there. The Daily Stoic Interviews: 20 Interviews on Stoicism. An exclusive eBook featuring interviews with leading thinkers including Robert Greene, Nancy Sherman, Alain de Botton, Kevin Rose, and many more. The 120-page eBook will be delivered immediately upon purchase, so you’ll have no delay in diving into these dialogues with wise men and women, statesmen, leaders, athletes, authors and philosophers. And if you buy 2 or more copies, you’ll get the ebook and the pen as well as an invite to a live seminar with Ryan on the day of the journal’s release, November 14th. The video seminar will dive into the art of journaling, tips and best practices from prolific journalers, and the connection between Stoicism and writing. Afterwards there will be an open 30 minute Q&A where attendees can ask whatever they like. To receive your bonuses, please submit your receipt in this form. ALSO, if you want an autographed copy of The Daily Stoic Journal, we’ve got that too. Just click here to order them from BookPeople.com (and all copies count towards pre-order bonuses) We’ve also heard from some folks who would like to buy bulk quantities for their team (over 20). If you have an offer in mind, mail us at info@dailystoic.com to discuss further. *One note about the Journal’s price on Amazon. Amazon continues to discount books closer to release as sales go up and has their pre-order price guarantee, meaning you’ll pay the lowest price between now and release day. So you’ll almost certainly pay a lower price than currently shown. Whether you purchase The Daily Stoic Journal or not, we hope you start journaling in one form or the other. Because it will help you absorb and benefit from everything we do here at DailyStoic.com, from our daily email to the meditations in the book to the quotes we post on social media. Any method you prefer will do—it is the process and the practice that counts. One cannot expect wisdom and self-mastery to simply arrive via epiphany. No, those states are acquired, little by little, practice by practice. The sooner you start, the better.